This machine is equipped with a closed protective hood on the left side. A large variety of grinding elements can be installed on both the right and left side. It can also be equipped with special quick release devices as special accessories. 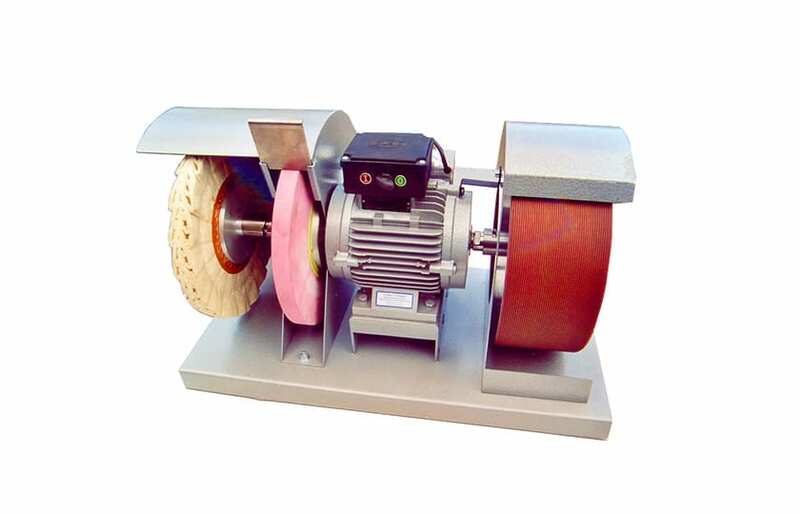 An expander wheel with interchangeable abrasive sleeves with various grain sizes or any other grinding element can also be used.